Charter Flight Group can host your next private jet charter flight to any destination worldwide. We are the best in the chartered flight industry and we can provide you the best seats in the air as you travel either for business or pleasure to any part of the United States and the world including the Fort Lauderdale International Airport in Fort Lauderdale, Florida. If this will be your first time on a chartered aircraft, then you picked the right private jet company to give you the most convenient, the most luxurious, and the safest air travel you’ve ever experienced in your life. Of course you might have found other private aircraft companies out there but don’t just settle, go for the best private charter flight that you deserved.The plane also features a spacious and lavish cabin, full equipped with lavatory that will satisfy even the most demanding private aircraft traveler there is. Charter Flight Group offers a wide variety of aircraft ranging from turbo prop charter planes to various sizes – light, mid-sized, and heavy – charter jets. Our database of more than 100 private aircraft of assorted makes and sizes will guarantee you that you will find a jet aircraft that will suit your taste and flying requirements. For instance, you might want to fly in the Gulfstream GV, a heavyweight private jet plane that features the longest range of all private aircraft that was made. Our company is dedicated to bring you only the best private jet charter flight that a private jet company can offer. Bringing absolute satisfaction is our passion and we always strive for perfection in every private jet transaction on our list. In everything we do, from booking your flight, to giving you the complementary service on your flight, down to landing you safely on your destination, we endeavor to make you feel special and worthy of all the exceptional treatment that you’ll experience with us. With CFG, you are not just flying on a chartered jet flight, you are flying with the charter flight professionals of superlative quality. We are also committed to your safety and thus we guarantee a secured and reliable private charter flight anytime, anywhere. CFG is proud of its excellent safety reputation and our passion to give you the best charter flight services, drives us to bring you an optimum level of safety on your air travel. Thus, we don’t only meet the strict standards of the Federal Aviation Administration (FAA), we also subscribe to the safety rating provisions of the Aircraft Research Group of the United States (ARGUS) and Wyvern. We vow to give you the most reliable, highly dependable, safest jet charter flight ever. You can land on either of the two airports in Fort Lauderdale, either way, your private jet charter flight will be accommodated. The Fort Lauderdale Executive is the airport that caters mostly to private charter flights but you can also land on the city’s main airport which is the Fort Lauderdale Hollywood International Airport (KFLL). Both of these airports have decent private terminals or fixed base operators and both are appropriately situated right off of Interstate 95. The Fort Lauderdale Hollywood International Airport caters to hundreds of travelers every day (up to 25 million passengers every year) and is just a few minutes away from the central business district of Fort Lauderdale as well as the city’s world-renowned sandy beaches. With its amenities, location, and facilities, the airport is considered as one of the fastest-growing general aviation airports in all of United States and among the busiest airports in the world. This airport is also a few minutes away from Fort Lauderdale’s cruise line terminals at Port Everglades and so if you charter a private aircraft to Fort Lauderdale to go to a Caribbean Cruise, then you know that you have chosen well. The airport has been an intercontinental gateway for decades, especially catering to the private charter flight industry. 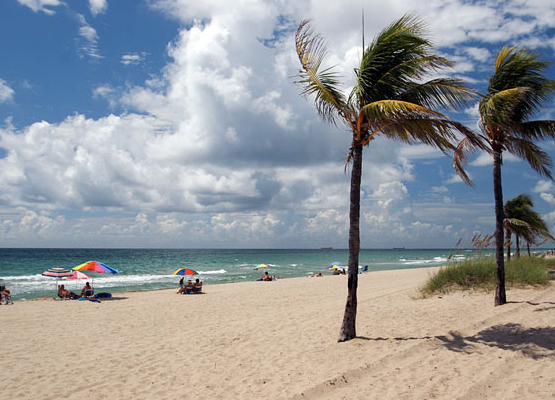 Private business charter flights to Fort Lauderdale come and go. Numerous business executives charter a private plane to Fort Lauderdale to do business with the city’s friendly and welcoming folks. You will be glad to know that business dealings in this area are conducted rather in an informal manner but there will be an obvious emphasis on equality. 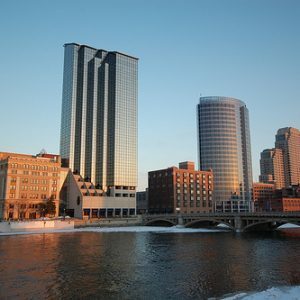 Thus, be ready with a firm and sincere handshake as you land on this business-oriented city. The city is also famous for its expansive and elaborate canal system, which allows it to earn the title “Venice of America”. Thus, while you’re at it, make your chartered flight to Fort Lauderdale with a hint of romance. Or you can just do your business dealings and then retire in comfort and relaxation in your hotel room in the Atlantic or the Renaissance Fort Lauderdale Hotel. You can also take your business partner in a sumptuous meal in the Canyon Southwest CafГ© or Eduardo de San Angel. If your chartered aircraft flight to Fort Lauderdale is solely for leisure and recreation, you may want to feast your eyes on what the Museum of Art and the Museum of Discovery and Science can offer. You can also visit Las Olas Boulevard, the Beach Place, or the Broward Center for the Performing Arts for more fun and entertainment. Why Choose Charter Flight Group for Your Fort Lauderdale Air Travel? When it comes to private jet charter flights, no other company can give you the best service in the industry. Charter Flight Group stands for everything that you wanted in your private jet charter flight to Fort Lauderdale, Florida. We built our reputation from everything that we’ve provided our clients – convenience, affordability, reliability, safety, luxury and satisfaction guaranteed. Our mission and vision are always aligned with yours and we will never let you down. You’ll always fly high up in the sky in comfort and magnificence. What are you waiting for? Book your chartered private flight now; it’s time to indulge yourself.